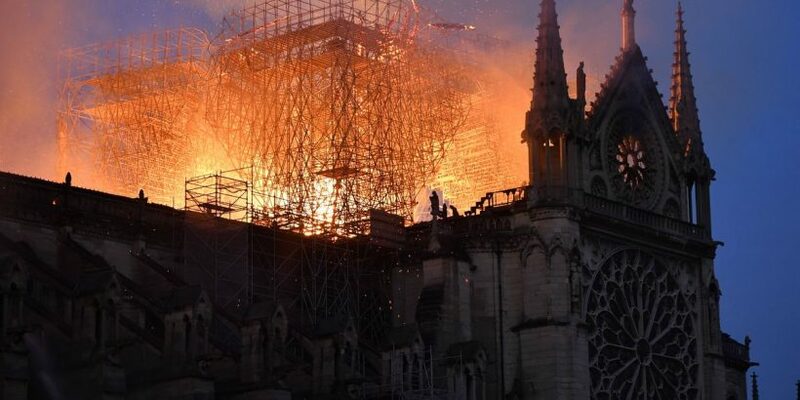 As the devastating fire took hold and rescuers battled to control the flames, Father Fournier worked on retrieving ancient artifacts from the Paris landmark. The Blessed Sacrament is used and displayed on an altar as part of a Mass service, while the Crown of Thorns purports to be a band of rushes from the original crown placed on Jesus&apos;s head during his crucifixation. Speaking at the time, he said: "I gave collective absolution, as the Catholic Church authorises me." Father Fournier said: "On my first trip to Afghanistan, I was seized by fear – everything I saw could potentially be dangerous, as we had learned during training courses."